Round 2 of the fantasy playoffs are here. A lot of people go with the philosophy of "start your studs" when it comes to the fantasy playoffs, but I don't 100% agree with this statement. Considering how far you've made it, your bench is strong. Any playoff team has top-24 options sitting on their bench, too. During the season, you play the matchup in a tough spot, so why not do it here? But, don't overreact to matchups, either. Just because you don't have ideal matchups doesn't mean you pick up waiver wire scraps. My final verdict is to think carefully about each decision and check a variety of different sets of rankings before you make your decision. Love 'Em: Cam Newton vs. GB - On the surface, Green Bay is a pretty average defense against the pass. But, if you take a closer look, almost any half-decent QB finds success against them. They've allowed 9 TD passes in the past 3 games. Newton has found a groove after struggling early on, as he has the 5th most FPPG the past 5 weeks, which includes a game against Minnesota, a defense allowing the 5th fewest FPPG in the league. 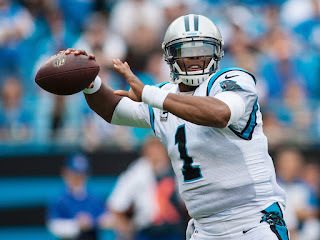 Newton also faces the Packers with Aaron Rodgers, a man sure to push the point total (the O/U is currently set at 47). Newton has 121 rushing yards over his last 2 games, too. He's a top-5 option with a safe floor this week. Leave 'Em: Alex Smith vs. LAC - The Chargers have been on fire on both sides of the ball lately. Rivers is putting up phenomenal numbers, and the defense hasn't let up a multiple passing TD performance since - yes - Eli Manning back in Week 5. Every piece is good, especially the secondary. Smith was good, not great in the first meeting. He passed for 2 TD's, but only threw for 155 yards while Kareem Hunt led the team. Smith is not the same QB now that he was then. He's scored over 20 points just one time since Week 8. The Chargers are an elite unit on fire right now, pushing Smith out of QB1 range. Love 'Em: Kenyan Drake @ BUF - Opposite of Cutler, Drake is an elite option this week. The Bills are the worst defense in the league against the run, Drake's been on fire lately, totaling 234 rushing yards and 100 receiving yards over the past 2 games. Drake's running really well, as was on display over Miami's 27-20 victory over the New England Patriots. Damien Williams, the other RB Miami could use, is doubtful for Sunday. Drake is a top-8 RB. Leave 'Em: Leonard Fournette vs. HOU - Fournette has not practiced all week with an ankle injury, and might not even play. If he does, however, he will not be at 100%. The Texans are an elite run defense that funnels plays to the QB, which also makes Blake Bortles an enticing option for the week. Luckily, Fournette plays in the 1:00 EST time slot. But, there are games on Saturday and Fournette is a game-time decision. If you can't edit your lineup at the very last minute, take Fournette out. Love 'Em: JuJu Smith-Schuster vs. NE - JuJu Smith-Schuster makes his return Sunday against the New England Patriots after being (unreasonably) suspended for their game against the Baltimore Ravens. JuJu will be needed in the slot Sunday and should see plenty of targets. Jarvis Landry was able to catch 2 TD's out of the slot last Monday. Obviously, there will be a ridiculous amount of pass attempts in this game. Both teams have elite offenses and subpar defenses, setting up the ideal fantasy game. In PPR formatted leagues, I'm comfortable using Smith-Schuster as a WR2. Leave 'Em: AJ Green @ MIN - The biggest "start your studs" argument of this week. AJ Green, an every-week start, does battle with Xavier Rhodes this week. He's held AB to 5/62, Julio to 2/24, and Mike Evans to 7/67. Rhodes is no joke and doesn't allow good games. Don't be stupid about it, but check plenty of rankings and make sure there's nobody better than Green to use. Love 'Em: Benjamin Watson @ CLE - This isn't so much about Watson being good, it's about the Browns being bad. Per @beerswater on Twitter, the Browns allow almost 6 points more than the average defense against tight ends. Safe to say that isn't a good thing. Watson hung 8/91 on them in Week 2 and has a safe 4/40 floor. Leave 'Em: Greg Olsen vs. GB - Olsen has not had the 2017 he dreamed of. He had 0.00 fantasy points last week and has missed most of the year with a foot injury. Green Bay, Olsen's foe for 2017, is one of the best defenses in the league against TE's. The Panthers announced that they're looking to get Olsen more involved in the offense, but the stakes are too high to trust Olsen this week. Leave him on the bench!